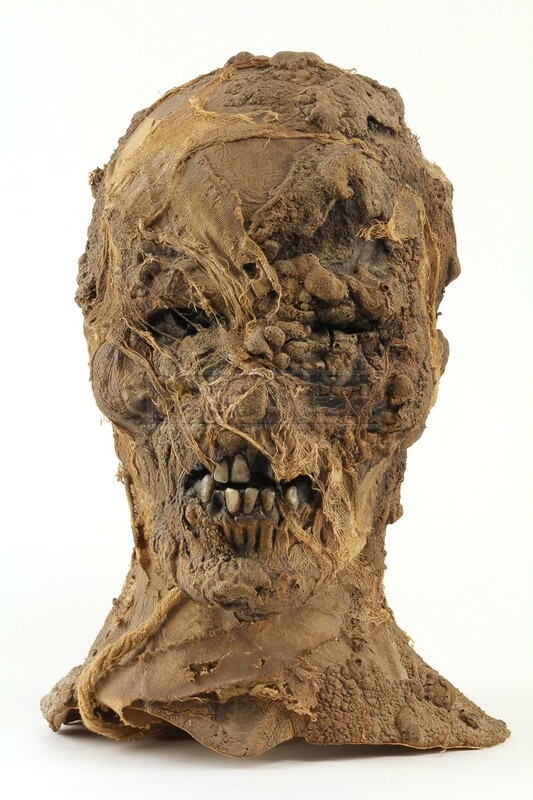 An original costume used in the production of The Mummy, the 1999 action horror starring Brendan Fraser and Rachel Weisz. This mummy mask was custom made by the production and is constructed from foam with an extremely realistic and detailed finish which includes plastic teeth and material bandage dressing. 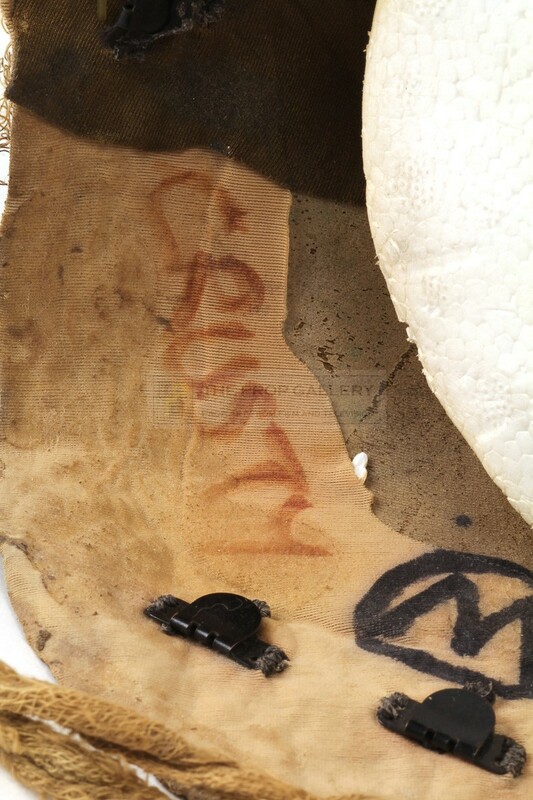 To the back of the head the mask features a slit with velcro fastening allowing it to be worn by an actor and to the interior neck is hand inscribed 'CRUSTY' likely the name of the actor or stunt performer it was used by, also to the interior neck are a number of fastenings allowing the head to be fixed to the body suit. 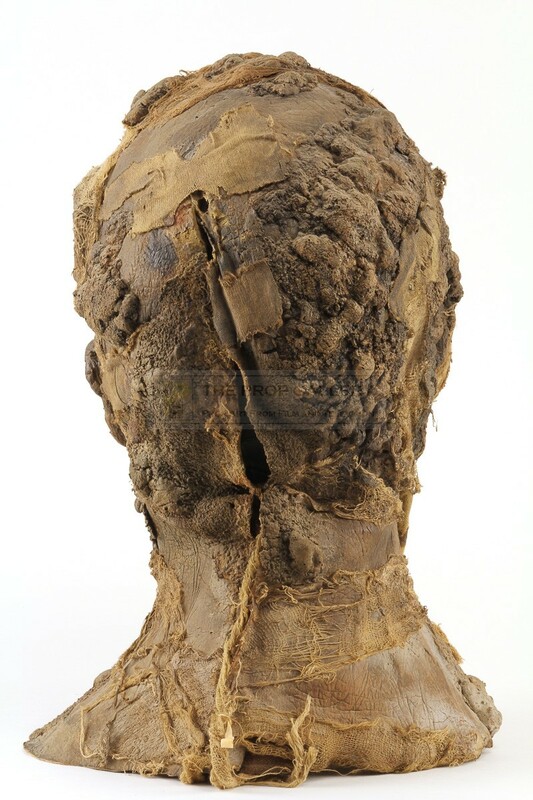 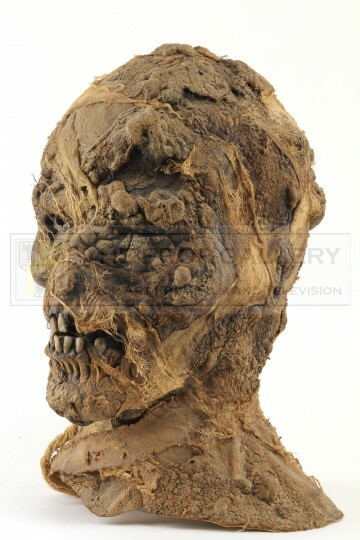 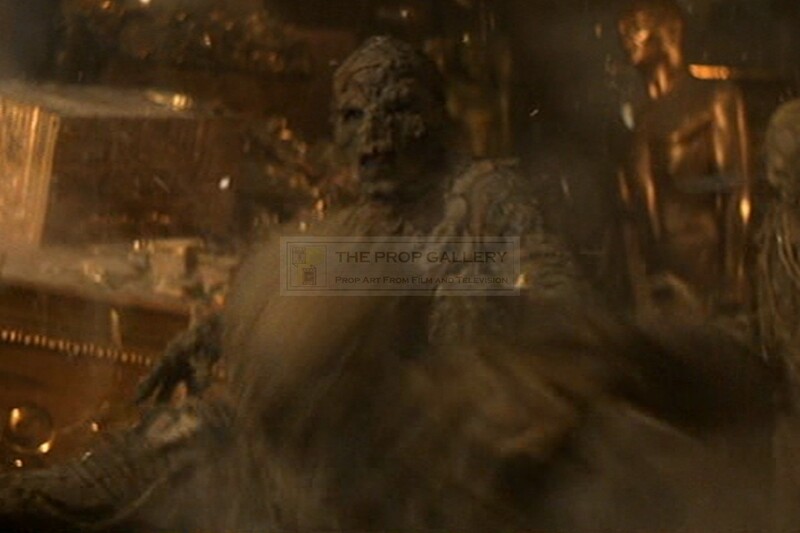 A mummy head identical to this can be seen as Rick O'Connell (Brendan Fraser) and his party do battle with the various mummies which appear from the ground in the treasure room. 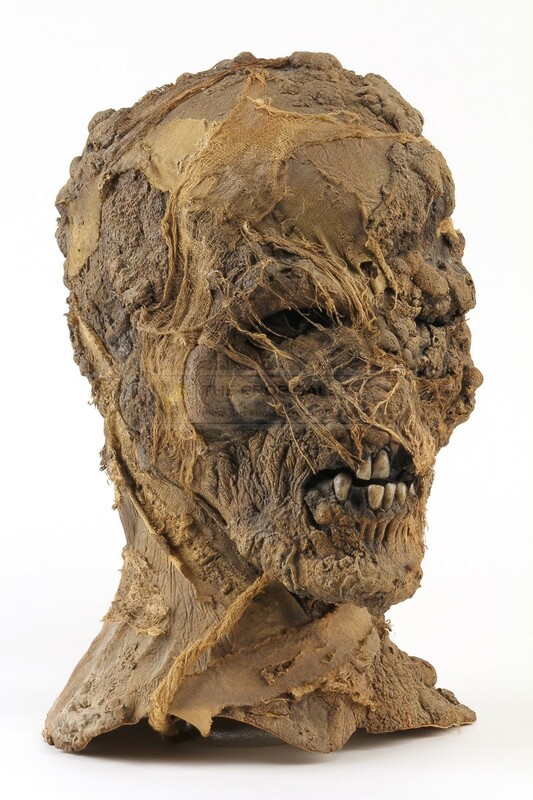 The mask stands approximately 13" high and remains in excellent screen used condition with minimal wear, the foam in near perfect original condition, soft to the touch with no signs of deterioration, extremely fine. 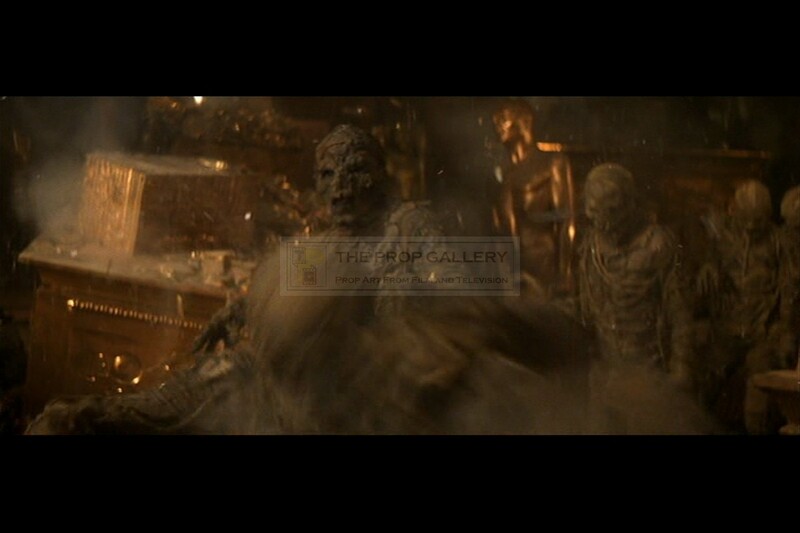 A recognisable and highly displayable artefact from this well received box office smash.